Watch this short video about our work with the SBCLP. Now in its sixth year this community led initiative is on track to for long-term leadership development. From over 100 past participants volunteer teams now manage a busy program of alumni events, including monthly gatherings and two leadership workshops a year. This growing leadership alumni aims to support each other to lead key projects to build a vibrant and resilient South Burnett community. See the venue and accommodation here. 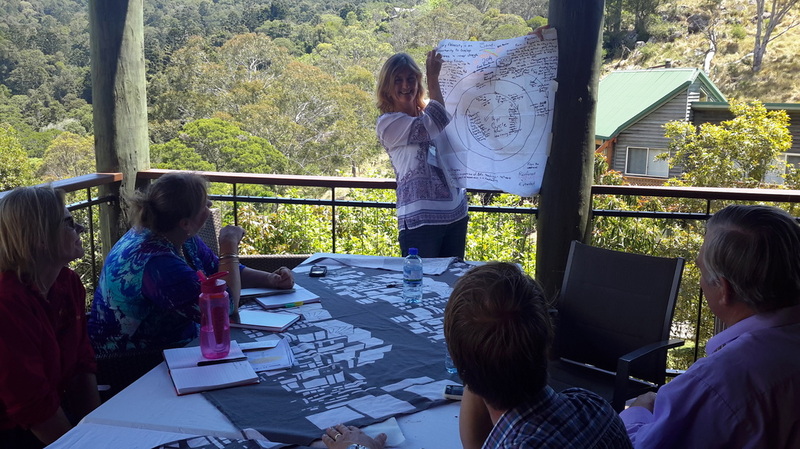 McAllister Leadership is working with Vision21 to support this alumni of past participants of leadership programs to foster the development of leadership across Queensland. McAllister Leadership and another Building Rural Leaders' past presenter, Quentin Jones, now with CLS360, brought this alumni together and are now working to develop a Business Plan for the organisation to ramp up its effectiveness in growing leadership for the benefit of Queensland communities, while continually developing leadership capacity for the alumni members to take their leadership to the next level. 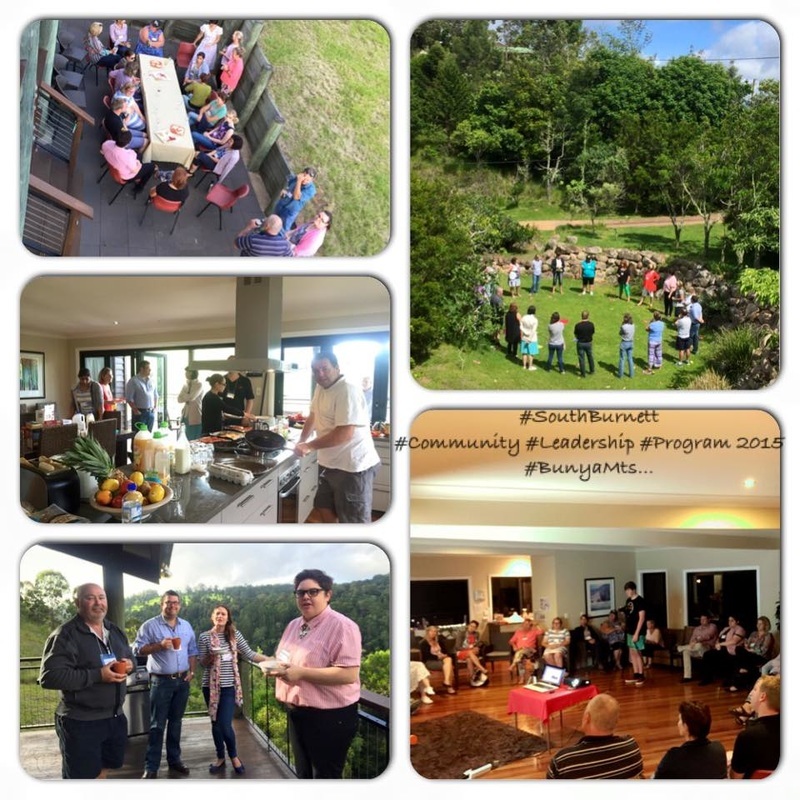 Vision 21 has been successful in leading the establishment of several leadership development opportunities in Queensland, to provide this critical learning opportunity for others. McAllister Leadership brings new concepts in leadership and experiential learning processes to a new audience of Masters in Science and Agriculture students from, so far, 51 different countries. Students have come from Mozambique, Argentina, Malaysia, Pakistan, China, Vietnam, Sri Lanka, Ghana, Rwanda, Ethiopia, Zimbabwe, Fiji, Indonesia, Nepal, Sth Africa, Tuvalu, Kenya, Burundi, Myanmar, Bhutan, Uganda, Taiwan, France, India, Mexico, Ecuador, Peru, Chile, Mauritius, Oman, Zambia, Papua New Guinea, Mongolia, Sth Korea, Japan, Canada, Tanzania, Nigeria, Belgium, Hong Kong, Israel, Australia, Italy, Seychelles, Turkey, Botswana, Ukraine, UK, Canada, Brunei and Paraguay. 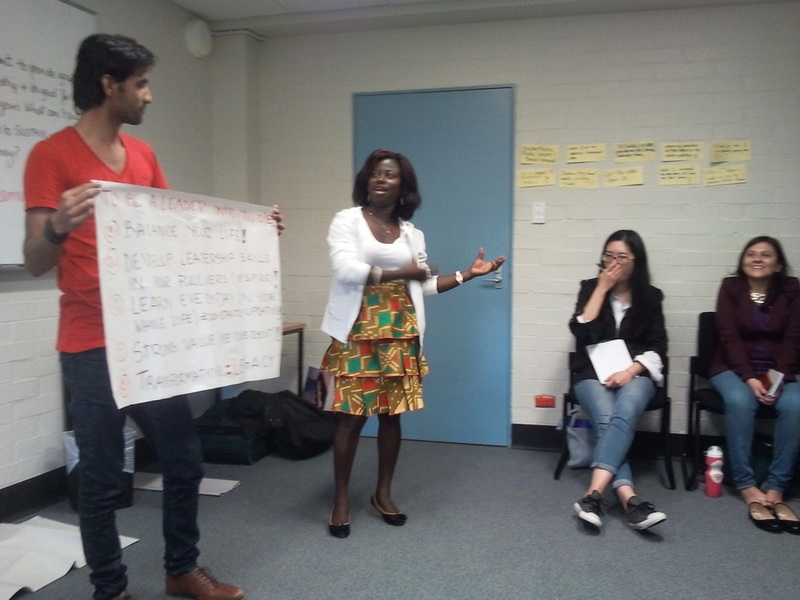 What a privilege it is work with so many smart young people from around the world! 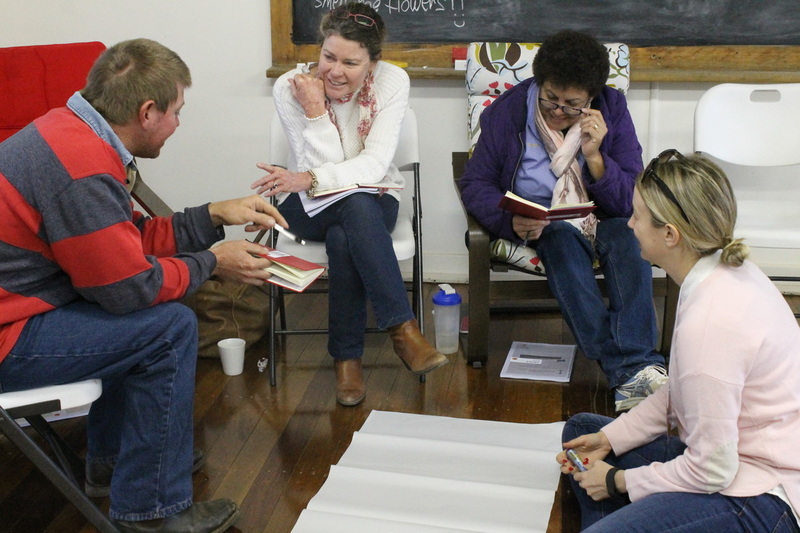 McAllister Leadership is working with Vision21 and organisations and individuals from the Central West Region of Queensland to establish an annual community leadership program for the region, whose residents have been suffering a long and damaging drought. Participating local government areas include Barcaldine, Barcoo, Blackall-Tambo, Boulia, Diamantina, Longreach and Winton. 21 talented people attended two modules at the first program and many have already made significant changes in their attitudes and lives. The Foundation for Rural and Regional Renewal (FRRR) provided funding, supported by funding from Vision21 and many local organisations. This broad partnership has been created to sustain the program over the long term. The program has established an alumni including the first leadership group made up of graduates of a range of leadership programs and has begun meetings and workshops for continually growing leadership and for co-support and to promote and support leadership as a critical element in developing community resilience and regional prosperity. 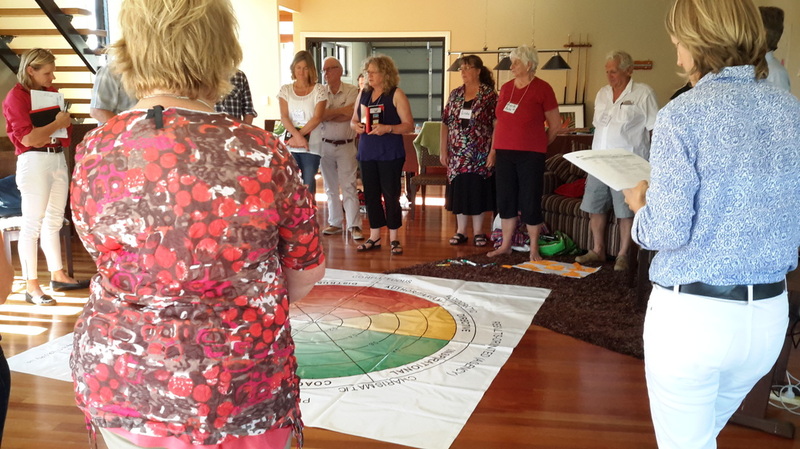 Dr Gerry Roberts facilitated a follow-up workshop, exploring the role of Emotional Intelligence and Universal Values on leadership. Within a month of the program being held 3 people had gained better jobs and two had started new businesses which are doing increasingly well. 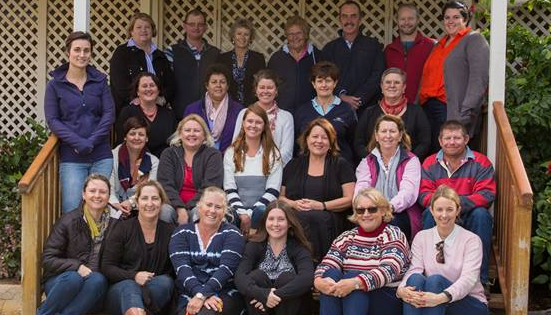 The alumni of the program with the Central West community has since led its own leadership development activities for three years, continually expanding leadership skills and positive attitudes to engage more people in the development and resilience of the Central West region. That's a great outcome! 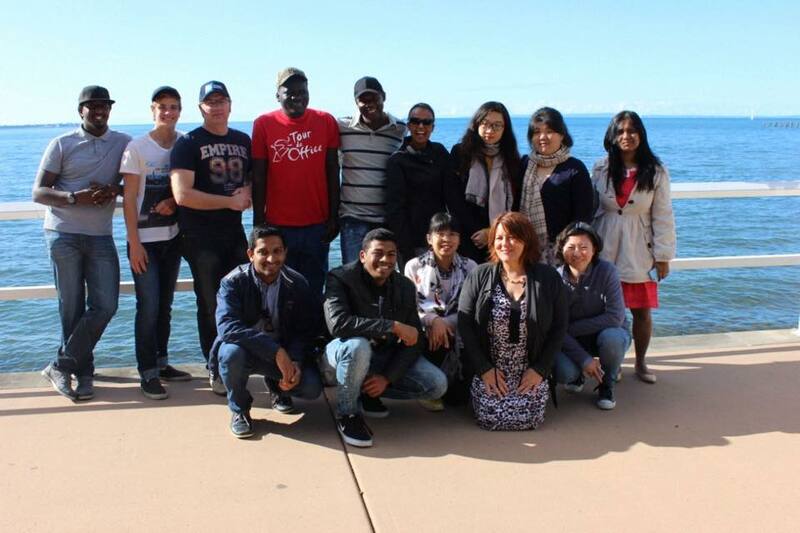 Students from the University of Queensland leadership programs had a day out at Shorncliffe with Pamela McAllister to explore more of Australian lifestyle. 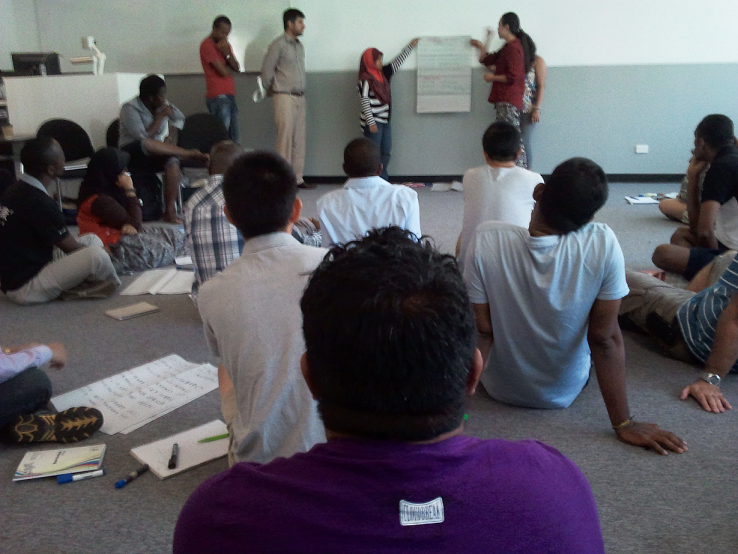 This extraordinary group of young people from across the continents have developed into a cohesive and supportive group. Over 5 years of running the course students have come from 48 different nations. The conversations about leadership and democracy across cultures are vigorous and enlightening.